When a student satisfactorily completes all academic requirements for a degree, fulfills all financial and legal obligations to the University, and meets all relevant processing deadlines, the student is eligible for graduation and to receive the appropriate degree. An eligible student may graduate at the end of a semester or a session—in December, April, June, or August; however, a Commencement Ceremony is held only following Fall, Spring and Summer I terms. Students should contact their college advisor to receive approval to submit an application for graduation. Once cleared, students may apply in GoWMU. The deadlines for submitting the application are listed below. The graduation audit, initiated by the submission of the Application for a Graduation Audit form, is a process by which a student’s academic record is examined to make sure all University obligations and all academic requirements for the degree have been met. The audit is conducted by a graduation auditor in the Registrar’s Office, and its outcome depends greatly on the completeness and appropriateness of the materials contained in the student’s academic record. Graduation Fee - A $55 fee will be applied to the student account when the application is submitted to the Registrar’s Office. All work taken either on or off the campus must be completed by graduation day. Students who fail to meet academic standards or complete all degree requirements will be removed from graduation lists automatically. Such students will be placed in the class of the succeeding semester or session only after they change their graduation date with the Registrar’s Office, assuming requirements can then be met. No fee is charged for submitting a Change of Graduation Date form. The graduation auditor will not automatically move the student to another graduation class. Under no circumstances will any student be graduated with a class if his/her academic record does not show complete fulfillment of all requirements within thirty days after the established commencement date. Any curriculum leading to a bachelor’s degree consists of at least 122 hours of credit. The student must meet the following requirements or their equivalent. The requirements in at least one of the University approved curricula must be fulfilled before graduation. The student must complete a major with a minimum of 24 hours and, if required by the curriculum, a minor with a minimum of 15 hours. Specific departmental major and minor requirements may exceed these minimums; please refer to the departmental sections in this catalog that identify the specific major or minor requirements. Students interested in the elementary and secondary education curricula should refer to both the departmental sections and to the College of Education and Human Development section that list the major and minor requirements for elementary and secondary teaching curricula. Courses elected to satisfy requirements in one major and/or minor may not be counted again to satisfy requirements in another major and/or minor. Some students may be excused from the requirement of declaring a regular major and/or minor field if they satisfy the requirements of their curriculum as set forth in the catalog, or that curriculum as modified by substitutions approved through normal channels. Each student must complete the required General Education program. 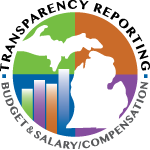 Students who are graduating with an Associate of Science degree from Michigan two-year colleges and start WMU prior to Fall 2014, are signatory to the Michigan Transfer Agreement, will automatically have fulfilled the first and second year General Education requirements. General Education requirements of two courses at the junior and senior levels will continue to be required. A minimum grade point average of 2.0 must be obtained in any major or minor(s) presented for graduation. Individual colleges, departments, or programs may have additional University approved requirements including a higher minimum grade point average. A student must also have an overall University grade point average of 2.0 or higher to graduate. If a student fails to meet minimum University academic standards, he/she is placed on academic probation or is dismissed. Each student will fulfill all requirements of the Intellectual Skills Development Program as outlined in this section. Minimum residence requirements. All candidates must present a minimum of 30 hours through Western Michigan University. Ten of the last 30 hours must be taken through Western Michigan University. Correspondence credit and credit by examination may not be used to satisfy any of the minimum requirements. Individual colleges and departments may have additional residency requirements. A maximum of 8 hours of general physical education (PEGN) courses may be counted toward graduation. Students transferring from an accredited two-year institution must complete a minimum of 60 credit hours of the academic work required at an accredited four-year, degree-granting institution. Exceptions to this policy, for specific programs, can be approved only if there is a formal Memorandum of Understanding and articulation agreement, as approved by the Faculty Senate Undergraduate Studies Council, between Western Michigan University and the participating accredited two-year institution. Students may graduate under the WMU catalog in effect at the time of their initial registration or any succeeding catalog providing the catalog is not more than ten years old upon the completion of requirements for graduation. Students who have been gone from the University for ten years or more must enter the University under the catalog in effect at the time of re-entry. For exception, see special policy under “Graduation Requirements-Bachelor of Science in Engineering” listed in the College of Engineering and Applied Sciences section of this catalog. In cooperation with community colleges, a student who transfers to Western Michigan University within three years upon leaving the community college may elect to graduate under the WMU catalog in effect at the time of the initial registration at the two-year institution. Completion of a minimum of 30 credits in residency beyond the requirements for the first degree. Completion of new major requirements as well as all specified University, college, and program requirements. Generally, no second degree will be granted from the discipline in which the first degree was earned. Rather than seeking a second bachelor’s, students may enroll as post-baccalaureate students and have the completion of an additional major recorded on the transcript. NOTE: Program accreditation standards may impose additional requirements or limitations. Completion of certification requirements generally does not qualify the student for a second degree. Possession of a prior bachelor’s degree from a regionally accredited college or university. Completion of new major requirements as well as all specified University, college, and program requirements, including general education, proficiencies, and a minimum 2.0 grade point average. Generally, no second degree will be granted from the discipline in which the first degree was earned. A major is a sequence of related courses totaling a minimum of twenty-four hours. A minor is a sequence of related courses totaling a minimum of fifteen hours. However, since not all majors and minors require the same number of hours, students should consult the departmental advisor to be assured of the requirements. The student’s major and minor will be the subject specialization, such as mathematics or accounting. Departmental requirements for a number of majors and minors are listed elsewhere in this catalog. Where requirements are not specified, students should consult the departmental advisors for approval of a major or minor program as soon as possible but not later than the student’s reaching junior status. Most candidates for a degree must complete a major and a minor. There are some exceptions, which the student’s advisor will explain. In certain cases “group” majors and “group” minors are permitted. The student’s academic advisor can explain the circumstances. Required professional courses in education. Required courses in general physical education. A combination of foreign language courses, or of English or American Literature courses with a foreign language, is not a permissible method of constructing a major or minor. Mathematics courses may not be counted towards a science (physics, geography, or chemistry) major or minor sequence, but may be required to satisfy curricula requirements. Courses elected to satisfy requirements in one major and/or minor may not be counted again to satisfy requirements in another major and/or minor. Only approved majors and minors listed in the catalog can be placed on a student record. Any program change occurring after the last day of the drop/add period will be effective for the following semester or session. The Baccalaureate degree at Western Michigan University includes proficiency in the intellectual skills of writing, reading, and quantification. In order to insure development of students’ abilities in these skills, the University maintains an Intellectual Skills Development Program. New students entering WMU will participate in the program. The first phase of the program occurs upon entry to the University, typically at Orientation, when student competencies are assessed via ACT scores and/or University-developed tests. Skills requirements for each student are determined at this time. Students whose test results indicate weak writing skills must pass a basic writing course before proceeding to the required college-level writing course. All WMU students are required to pass a college-level writing course. Students who demonstrate superior writing skills may be exempted from the college-level writing course requirement. In addition to the college-level writing requirement, each student must also demonstrate writing proficiency by successfully meeting a baccalaureate-level writing requirement as designated by the student’s major department or program. It is recommended that students complete this requirement after attaining junior standing. Existing guidelines regarding repeating a course will apply. Credit for course work from four-year institutions only will fulfill this requirement. This requirement meets General Education Proficiency 2. On the basis of test scores, certain students are required to pass LS 1040, Effective College Reading. This course is designed to improve comprehension, vocabulary, and study skills, and thus prepare students for further college work. On the basis of scores on a test of basic mathematical skills, certain students are required to pass MATH 1090. Students must earn a “C” or better in MATH 1090 in order to proceed to fulfill other mathematics requirements. ENGL 1000, LS 1040, and MATH 1090 carry academic credit, and grades earned are included in calculating the student’s grade point average. The credits for these courses, however, constitute an additional graduation requirement beyond the total number of credit hours required for a student’s curriculum. Students who are placed into any of these courses must pass the course(s) before registering for their thirty-third credit hour at Western Michigan University. Students who fail to demonstrate competency by test or by course by the time of enrollment in the thirty-third credit will be permitted to enroll only in the above-named skill-building course(s). Students may resume regular course enrollment only after all entry-level competencies are demonstrated. A college-level writing course must be completed before a student registers for the sixty-second credit hour at Western and before the baccalaureate-level course is attempted. Beginning undergraduate international students are placed into, or exempted from, English 1600/1610 or 3600/3610 based on the results of either the MTELP (Michigan Test of English Language Proficiency) or the TOEFL (Test of English as a Foreign Language). Scores of 75-84 on the MTELP or 500-549 on the TOEFL warrant placement into this language program. The Diether H. Haenicke Institute for Global Education requires completion of the language program during the student’s first enrollment period at WMU. The student may then proceed to fulfill the college-level writing requirement. International students who are not required to take the language program will proceed to fulfill all Intellectual Skills requirements in writing, beginning with the college-level writing course and proceeding through the baccalaureate-level requirement. International students will fulfill all Intellectual Skills Requirements in quantification (see above). Failure to enroll in the Intellectual Skills Program as outlined above will result in cancellation of admission. Domestic and international transfer students will abide by the Intellectual Skills Requirements for transfer students. See immediately below for the specific requirements. Students who transfer a college-level writing course of 2.7 or more semester hours credit (or a sequence of courses that satisfies the college-level writing requirement at the transfer institution), will be exempted from the writing assessment upon entry. These students will be considered to have met the Intellectual Skills Program college-level writing course requirement. All other transfer students will be placed into a remedial or college-level writing course according to assessment results. Students who transfer twenty-six semester hours or more of credit with a GPA of 2.0 or better, or who transfer the equivalent of LS 1040, are exempted from the reading assessment upon entry. All other transfer students will have their reading skills evaluated by standardized test and will either place into or be exempted from LS 1040, Effective College Reading. Students who transfer a mathematics course at the level of MATH 1100 or higher are considered to have entry-level computation skills and need not take the computational skills assessment test upon entry. All other transfer students will place into or be exempted from MATH 1090 according to assessment results. A computer or technology usage requirement, if applicable to a student’s curriculum, is described in the departmental or college sections of this catalog. Entering students should contact their college advising office for specific information concerning any applicable requirement and/or option for fulfilling the requirement. The Foreign Language Requirement for students who will graduate through the College of Arts and Sciences is described in the Arts and Sciences section of this catalog. Students should contact their college advisor to receive approval to submit an application for graduation. Once cleared, students may apply in GoWMU. The undergraduate certificate program of study will then be audited in the same manner as a degree program. For a student concurrently pursuing a degree program and an Undergraduate Certificate Program, the application should be submitted separately from the undergraduate degree application. To signify that a student has satisfactorily completed an approved curriculum in an Undergraduate Certificate Program, a certificate of completion is awarded. This general education program incorporates the University’s college-level and baccalaureate-level writing requirements, eliminates the former physical education requirement, and lets the University computer usage (literacy) requirement continue in force separately. All students graduating from WMU must meet the thirty-seven semester hour requirement of the General Education Program. This must include at least two courses at the 3000-4000-level in the distribution areas and, in addition, the baccalaureate-level writing requirement. Colleges listed below have signed the Michigan Transfer Agreement. Transfer students from these schools whose transcripts have been appropriately identified and certified as having fulfilled the requirements of the Michigan Transfer Agreement by their respective community college will have satisfied WMU’s lower level General Education requirements. Such students need only satisfy Western’s requirement of six hours of 3000-4000-level General Education course work from the distribution areas, and complete the baccalaureate-level writing course (Proficiency 2). In addition, the University will determine the equivalence and applicability of transferable community college courses in meeting other graduation requirements.Visit www.wmich.edu/admissions/transfer/mta/ for more information. Students who transfer from Michigan community colleges and who have not fulfilled the requirements of the Michigan Transfer Agreement will have their course work evaluated according to the General Education requirements as described in Western’s General Education Program Transfer Guides available at the WMU Office of Admissions Web site. In order to determine remaining General Education requirements, students should consult their curriculum advisor. Number of first-time, full-time, degree-seeking beginning freshman, Class of 2011: 3,132. After six years, the number (and percentage) of those in the Class of 2011 who graduated: 1,589 (50.8%). A listing of curriculum advisors may be found on the advising Web site http://wmich.edu/registrar/students/advising. Students not certain of their curriculum or advisor should contact the Advising Office of the College to which they have been admitted. Students should refer to their Admission Certificates to find out to which curriculum and College they have been admitted. Transfer students should arrange appointments for advising shortly after admission.. Students will be advised as to how transfer courses apply to programs at Western, In addition, students will receive curriculum and major/minor advising, as well as Intellectual Skills Program advising. It is important that transfer students bring their most recent Credit Evaluations to these meetings. Transfer students are urged to obtain advising before registering for classes. Students must receive approval from a college advisor before they are eligible to apply for graduation. Advisors will assist students with the application process, and students should visit regularly with their advisors to ensure that their progress toward degree completion conforms with all University and degree requirements.